It may be hard to believe, but some dogs are not completely aware they have two back legs. That’s when training for hind end awareness is important. I remember when Riley was little she had no idea what to do with her rear legs. This became evident one day when she jumped in the pool trying to save me. 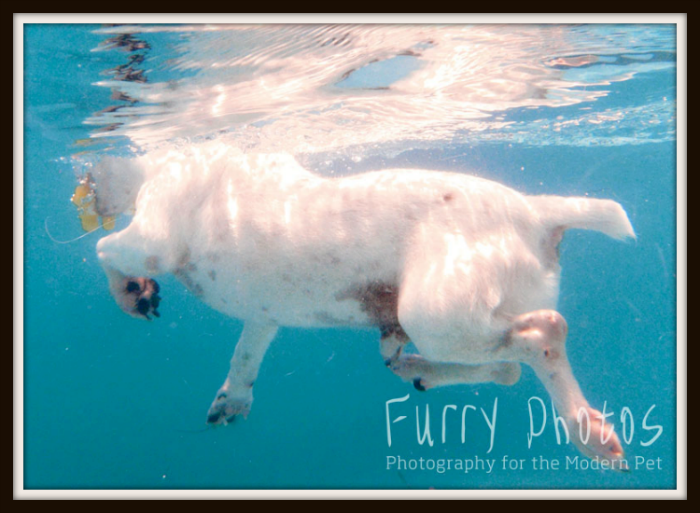 Once she surfaced from the dive her little front legs were doing the perfect doggie paddling, unfortunately her rear legs had no idea what was going on. One was kicking but that was causing her to roll over in the water. But don’t worry, I was with her the whole time and never let her go under after her initial dive. Developing hind end awareness can really help when jumping, along with moving properly through the weaves. So how can we help our dogs develop better hind end awareness? Let’s build a PVC ladder! The ladder is a little different looking once completed as it is designed for small dogs. 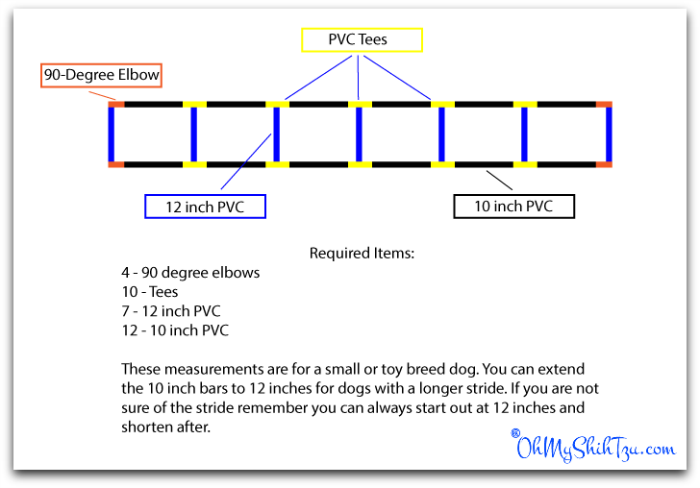 But it can easily be modified for taller dogs by the addition of “legs” to the PVC Tees. You can also use a ladder that you have in the garage. For my little ones it was easier to build one, as their little legs make it a bit hard to step through a normal size ladder. To help you out with building their hind end awareness, I found this great video by Pam’s Dog Academy. This gives a great demonstration of using the clicker to train your dog for walking through the ladder , along with a few other skills and tricks! 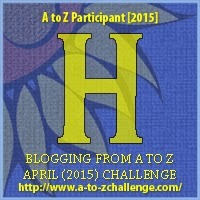 I want to thank you for joining us today as we participate in the 2015 A to Z Challenge. Today we celebrate the letter “H” with Hind end awareness!. Great post. This exercise looks great for the muscles. I never thought about this before, but I have seen other dogs that seem to do that in pools too. The exercise would help with overall coordination too. Very interesting. Great article. I don’t even currently have a dog, and yet following your blog has taken my interest in agility trials from intrigue to fascination. You certainly have a way of focusing and then simplifying so many things I would never have thought of. I hadn’t ever thought of it this way, but now that I read your post it makes sense! Luna knows Roll Over and Bang (aka play dead), but sometimes when she is really excited only her front legs will do the trick. Jessica Shipman | Beagles and Bargains recently posted…Herbs – Which are Safe and Beneficial for Dogs?